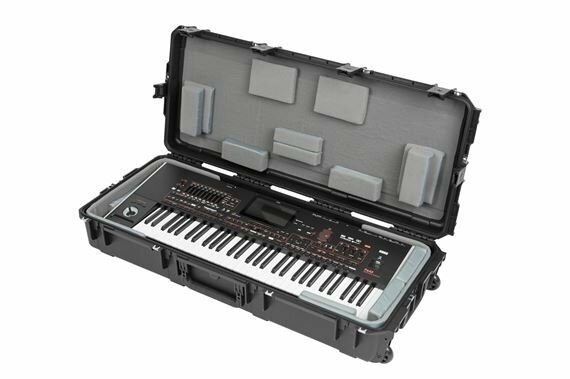 Order your SKB 3i-4217-TKBD iSeries 61-Key Keyboard Case from AMS and enjoy 0% Interest Payment Plans, Free Shipping, Free Extended Warranty & 45 Day Money Back Guarantee. The 3i-4217-TKBD can accommodate such models as the Crumar Mojo 61, Access Virus T12, Korg PA4X-61, and Kurzweil PC3K6. Interior dimensions: 39.5 x 16" x 5.625". The new 3i-4217-TKBD iSeries 61-note Keyboard Case is waterproof, military grade, and features an all-new Think Tank-designed interior that's fully customizable with repositionable Velex-covered foam pads to ensure a perfect fit—even if your gear changes. 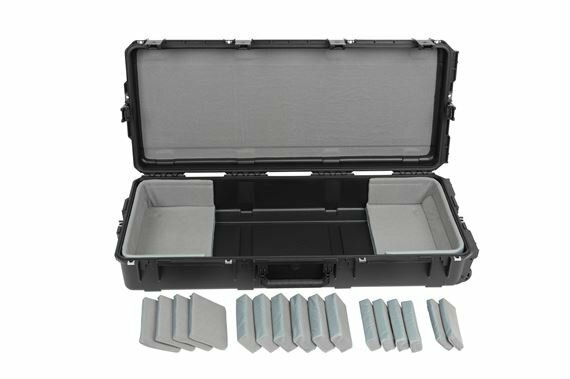 Interior measurement of 39.5 x 16" x 5.625"
All SKB iSeries Waterproof Cases are injection molded of ultra high-strength polypropylene copolymer resin, and feature a gasket sealed, water and dust tight submersible design (MIL-C-4150J). 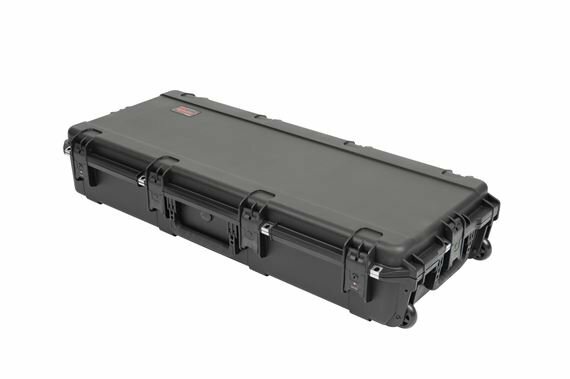 This case features a molded-in hinge, patented trigger release latch system, comfortable, snap-down rubber over-molded cushion grip handle and a automatic ambient pressure equalization valve (MIL-STD-648C). Our iSeries line is resistant to UV, solvents, corrosion, fungus and impact damage (MIL-STD-810F). I bought one of these for every keyboard I own. Sturdy, waterproof and solid enough for touring and bringing them on a plane. I def recommend these cases to protect your investment!